To Albertina and her husband, every child is a gift from God. So even though her seven children were almost grown, she was thrilled to discover she was pregnant again. And when her son was born with cerebral palsy and other disabilities, she continued to celebrate his birth, even though her family lives in a poor barrio outside Guatemala City. “He’s my baby and I love him so much,” she says, as she kisses Froilan’s cheek. 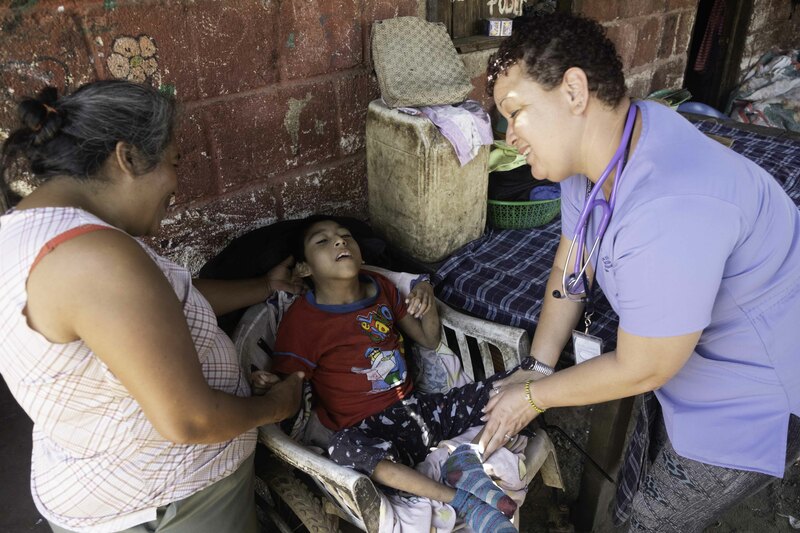 A teenager now, her son is never considered a burden, even though Albertina must carry him or push him in a makeshift wheelchair. The family lives in a humble home with dirt floors and walls made of compressed mud bricks. Although she keeps her home clean, it’s easy for insects to enter the house. And because of his restricted movement, it’s hard for Froilan to protect himself from bug bites. Fortunately, MAP supplied pediatric antibiotics to the clinic where Dr. Carranza works. She was able to provide some to Froilan, who responded well and began to heal. Albertina cried with gratitude as she told us about how the MAP medicine helped her son. “I am so grateful to God that my son is feeling better. Thank you to all of the people who made this medicine available to us. We cannot afford to pay for expensive medicine but I would do anything to help my son,” she said. Read more about how your support of MAP International changes lives and brings hope for those in need.